Pregnancy isn't easy. Your body goes through many changes carrying another life inside you but watching your belly grows day by day, knowing that your little one is growing steadily, is indescribably rewarding. Come your third trimester (or end of second trimester for some) and you start to feel all sorts of sores and pain over your body, especially your back. That is not a good feeling, and it will only get worse as your pregnancy advances. If you're not one of those who has a pain-free pregnancy (and there's only a handful of these lucky peeps!) throughout, don't worry, there's a form of relief that comes in these simple looking but oh-so-effective belts - the maternity belt or belly support band. They work so well to relieve your pain, we think it should be a critical part of your maternity wardrobe! 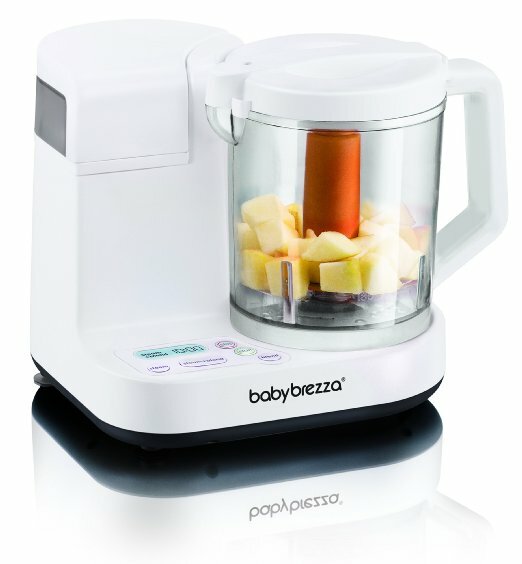 As your baby grows in size and weight, so does your belly. While some women are able to handle the extra weight well, others need help in the form of external support. Maternity belt is a pregnancy belt for back pain as it is designed to support your bump and ease your pain and discomfort. There are basically two types of maternity belts - single strap belt and prenatal cradle (with extra strap for wider range of support). Both work to provide support by lifting your belly and relieve the strain off your back and pelvis. While many use the term maternity belt and belly band interchangeably, there is actually a difference between the two. They do look almost the same (especially with the simple single strap belt), but a maternity support belt works primarily to relieve discomfort and pain. Belly bands, on the other hand, come in the form of a stretchy fabric that is to be worn over the top of jeans, skirts and pants. They help to extend the wear of your normal clothes that otherwise do not fit. Do not mistake these two with postpartum belly band. Yes we know, they all sound the same and it can get confusing, but postpartum waist band is to be worn after you have delivered, not during your pregnancy. It promotes faster recovery of your body and helps you get back in shape quicker using compression and binding forces - you do not want these on your belly while you are still pregnant! If you want to know more, click here to find out which is the best postpartum belly band. Our pregnancy support belt reviews below cater for different needs so take your time and don't feel rushed. It is important that you feel comfortable with the belly belt you choose as it will be the best maternity support belt that solves your problems effectively. When you shop for a belly belt it’s important to find one that solves your problems effectively. Take your time and don’t feel rushed. It’s important to feel comfortable with the belly belt you choose. If you're looking for a single strap maternity belt, look no further, this number 1 bestseller from AZMED is the best belly band for pregnancy that is simple to use and gives amazing back support. This is one of the best maternity belt for back pain as it works to support the excess pregnancy weight by providing gentle compression in your abdominal area. It lifts your pregnant tummy so that the pulling forward and down of your belly (which often causes back pain) can be minimised. When your baby bump is supported as such, its weight is effectively redistributed and it takes away the strain on your back as less pressure is put on your spine. This includes relief for your hip and pelvic pains, although if you'd want more support to your pelvic, we'd recommend getting a prenatal cradle as it covers a bigger area. AZMED comes in one size only but it is made of elastic materials so it will fit women of all size up to 46 inches. If you're bigger than that or are having twins or more, this may not fit throughout your whole pregnancy but don't worry, we've got another recommendation for you below. This is one best pregnancy belt that helps ease the discomfort of pregnancy effectively and many parents can vouch for it. You will feel obvious improvement once you put it on and it is priced reasonably too, considering it uses soft and breathable material unlike some others. Definitely one best maternity belly support that you won't regret buying! It can be hard looking for maternity belts that cater for twins pregnancy. They either come in one size only that do not stretch as far as required, or they do not provide enough support for your heavier bump. This is why we are so happy when we came across the NeoTech Care (TM) Maternity Belt / Belly Brace which comes in 5 sizes (up to XXL - 60.5") and is fully adjustable to accommodate even the biggest belly. Made from high quality breathable fabric, this maternity belt is constructed of a multi-layered laminate with a cotton/nylon elastic lining that allows for aeration so you do not have to worry about feeling hot and stuffed in it. It comes in the form of a cradle whereby there is an extra abdominal lift attachment that sits on top of your belly. This gives lift without unnecessary pressure and holds the belt in place to prevent it from rolling. 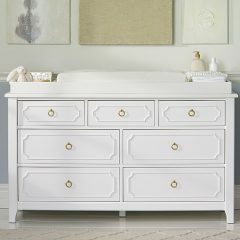 Because of this, it gives the best belly support for twin pregnancy. Mothers have commended how it makes them feel extra secured when wearing it. Apart from providing amazing belly support, the NeoTech Care Maternity Support Belt is also one of the best back support belt. 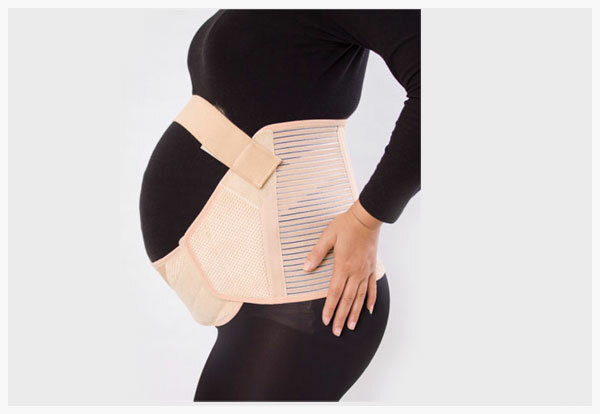 It is designed for those suffering from lower back pain due to pregnancy and with 4 elastic side panels added to support and compress the lumbar and abdominal regions, you can be sure it will alleviate your lower back pain effectively. The NeoTech Care Maternity Support Belt is one of the most tested and popular maternity belts in the USA, UK, Canada, Germany and France to that there are many copies in the market so beware when you're buying to avoid counterfeits. Definitely one of the best maternity belt for twins! The NEOtech Care ( TM ) maternity support belt helps alleviate lower back pain due to pregnancy by supporting the lumbar and abdominal regions. Designed for those suffering from lower back pain due to pregnancy. It has 4 elastic side panels adding support and compression while allowing aeration. Babo Care Belly Band / Prenatal Cradle is another prenatal cradle type that comes with an upper and lower double-layered belt for extra support. This is the best belly band for pregnancy support in terms of covering all the usual pain spots - back, hip and pelvic - that come with pregnancy. 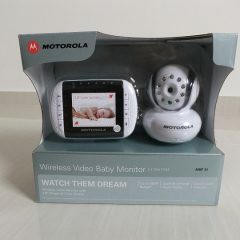 We'd recommend this for twins pregnancy if not for its size limitation. It still does come up to 49" in XL, but we'd steer you to NeoTech Care if you want the best maternity belt for twins! 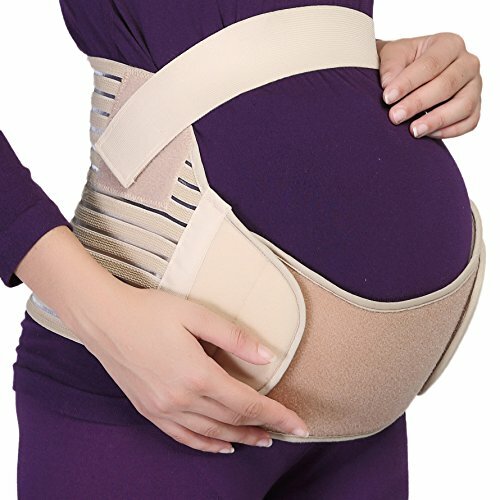 For those that have just one baby, you will be able to wear this belly brace throughout your pregnancy as its elastic material allow you to stretch it to your desired size. This is one of the best cradle pregnancy support that most ob/gyn recommend for women seeking for hip and pelvic pain relief. You can feel instant relief to your hips and pelvic pain thanks to its patented double-layered fixed design. This is why the Babo Care Belly Band has been regarded by many as giving the best back support. If you suffer from sciatica pain, this is the best maternity belt for spd. the best maternity belt for twins! Apart from relieving your pain, the strong double support also holds your belly and waist in place so that it will not be pulled down and forward causing back pain. In addition, four support bars are added in the waist area, thereby raising 40% more support for the waist. It is also ideal to correct your posture and support weak abdominal muscles. Babo Care Pregnancy Cradle gives the best pregnancy back support and is one that can be worn daily without limiting your movement. Made from soft breathable material, you will be able to bend, sit and stand with ease. Overall, this is the best belly belt for pregnancy if you want a lil extra support for your hip and pelvic areas, besides your belly. And oh, it comes with lifetime guarantee too! If you'd like to stay active during your pregnancy journey, and by this we mean keeping a suitable exercise regime, then you should get the Gabrialla Elastic Maternity Support Belt MS-96 - the best maternity support belt for running. Yes, contrary to what most women think, they can still stay active after getting pregnant, in fact, doctors usually recommend that you keep exercising because it is beneficial to your little one too. You do, however, need some external gear to help, such as a belly band for running. The Gabriella MS-96 is perhaps the most popular maternity belt you've ever heard of, given the multiple "Top Choice" and "Family Choice" national awards it has under its belt (pun intended). And truly so, because it is one of the best maternity support belt for lower back pain that ob/gyn highly recommend, thanks to its 6" wide back which you do not see very often in other maternity belts. It is also because of this wide back that allows for a very secured and tight fit (despite not having an additional strap over your abdominal area), which makes it one of the very best belly band for running while pregnant. Like all good maternity bands, it promotes proper posture and even helps prevent stretch marks. The Gabriella MS-96 is very comfortable to wear for everyday use and you can even wear it underneath your clothes and it will go unnoticeable. We like how it is adjustable to accommodate to any size changes and that it has a pocket for hot/cold packs in case you need one in extreme temperatures. If you need a belly support band for running, look no further. 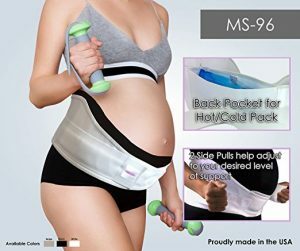 Designed, patented and proudly made in the USA, the Gabriella Elastic Maternity Support Belt MS-96 is the best back brace for pregnant women. Last but not least, lets look at the best belly support band - the Ingrid & Isabel Women's Maternity Everyday Bellaband. This is the band type that we mentioned earlier, one that extends the wear of your normal clothes that otherwise do not fit your extending belly. Sound too good to be true? Yes, this belly band for pregnant women allows you to continue wearing your usual skirts, pants and even jeans even when you can no longer button or zip them up. Wear it folded over to hold up unbuttoned pre-pregnancy jeans and bottoms and the stretchy material will help keep them stay put without sliding down with its silicone strip. While this helps delay the switch to maternity clothes, some women manage to use it throughout without having to buy maternity clothing at all (now that saves quite a bit of money, if you'd ask us!). You can still wear it when you are heavily pregnant by using it full length or if you want extra hold, fold it over. Even after you have delivered, you can still wear it to ease the transition back to your pre-pregnancy jeans and also for smoothing belly coverage while nursing. Do not expect it to be a pregnancy band for back pain or any of its kind, the Bellaband is not a pregnancy support belt for back pain. But in terms of extending the life of your non-maternity clothes or covering the belly up, the Ingrid & Isabel Bellaband is the best belly band for the job. Manage your discomfort - Maternity belts provide adequate support to match the level of muscle strain and discomfort you feel as your belly expands. Alleviate back, hip & pelvic pain - Maternity belt gives adequate support to take the strain off these areas. Relief from sciatica, Symphysis Pubis Dysfunction (SPD) or Pelvic Girdle Pain (PGP) - these are common symptoms of pregnancy, though not every woman will have it. Twin or multiple pregnancy - you will need the extra support of maternity belts to distribute the weight across your body. Save money - belly bands that extend the wear of your pre-pregnancy clothes help you save money from buying maternity clothes that you will not wear again after a few months. Despite all these benefits, do note that maternity belts are not intended to alleviate underlying medical issues. If you have any such conditions, you should consult your doctor. Do you have back pain that you need some form of relief? Will you be running in one? No back pain (lucky you! ), but just want something to cover your belly? This is very important to make sure that you feel comfortable in your maternity belt. Too loose and it will not give you the support; too tight and it makes you uncomfortable, worse, potentially posing risks to you or your baby. Even if you get the world's best maternity support band, it is useless if your fit is wrong. Refer to the size guide provided by the brand itself (they usually come with one) or contact customer service if you're not sure which size to get - they usually provide detailed instruction to help you choose the best fit. You may need to wear your pregnancy belt everyday if you experience discomfort or pain constantly so it is very important that the belt is comfortable. Look for one that is made from good materials i.e. breathable and stretchy, as well as durable that will last multiple washes and wear. Don't worry, all pregnancy belts recommended in our maternity belt reviews above have top notch quality that will last you a long time. Some mothers wear their pregnancy belts even after giving birth and while there's nothing wrong with it (in fact, belly bands like this one helps you ease back to your pre-pregnancy clothes), if you expect it to give you the same effect as postpartum belly wraps (no, they are not the same!) then you're in for a big disappointment. Without going too much in detail, in short, pregnancy belts do not cover as much as postpartum girdles, and they are too stretchy to give you the compression required for both postnatal recovery and getting back in shape faster. We have a full post with more details on this, including a review of the best belly band after pregnancy that you should have. Can you find out your baby's gender earlier than the doctor? the best pregnancy support band. We would like to help pregnant women address common pains and soreness during pregnancy but please note that maternity belts are not intended to alleviate underlying medical issues. Order yours today! If you're not one of those who has a pain-free pregnancy throughout, don't worry, there's a form of relief that comes in these simple looking but oh-so-effective belts - the maternity belt or belly support band. Compare and find the best deals for this Black Friday and Cyber Monday sale!